The ultimate Christmas food book from the best-loved and most respected cookery writer of recent times, including previously unpublished material. Throughout her pioneering career Elizabeth David often talked about wanting to compile a short Christmas book. Over the years she collated recipes, articles and notes into a file and even went so far as to write an introduction for the book. 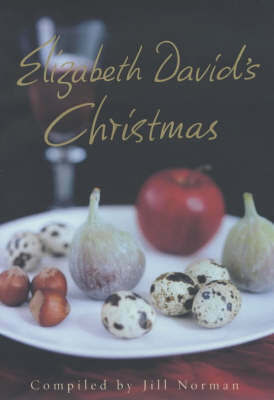 Beautifully written and illustrated, "Elizabeth David's Christmas" contains the full file of around 150 recipes and is designed to take the strain out of providing festive food. All the classics are here: mince pies, stuffings and turkey, as well as simple first courses, party dishes and a range of desserts that make this book an irresistible festive fare.